Bryce Derouin/Daily Mining Gazette Chassell’s Abe Gockenbach goes up for a layup as Baraga’s Gunnar Lindemann gives chase Monday in Baraga. BARAGA — The scariest moment of the Chassell Panthers’ 76-43 Monday win over the Baraga Vikings came midway through the third quarter. Chassell starting senior center Jake Holmes awkwardly fell backwards while trying to haul in a pass and appeared shaken up as he stayed on the ground for a brief moment. But Holmes eventually managed to get up and make his way to the bench before stretching out his leg and making sure he felt OK.
Next, Chassell will face the Lake Linden-Hubbell Lakes (6-14) Wednesday at 8 p.m. in a district semifinal matchup. Staying healthy was one of the biggest factors in Chassell’s district-opening win in Baraga, and they appear to have done just that after cruising as heavy favorites against the Vikings (0-21). Senior Hunter Rautiola led the Panthers with 21 points, and sophomore Abe Gockenbach featured his usual explosiveness in a 14-point performance that included eight rebounds and seven assists. Gockenbach has been nursing an ankle injury that he suffered on Feb. 17. He was limping to the locker room after the game, but that may not have necessarily related to the previous injury itself. It was a “business as usual” type of night for a Chassell team that takes advantage of its opponents’ mistakes. The Panthers’ full-court pressure forced Baraga into 20-first half turnovers, allowing Chassell to take a 47-21 lead at halftime. With Chassell’s suffocating defense, there was never a sliver of hope Baraga could pull off the kind of massive upset that would make for a good sports movie. 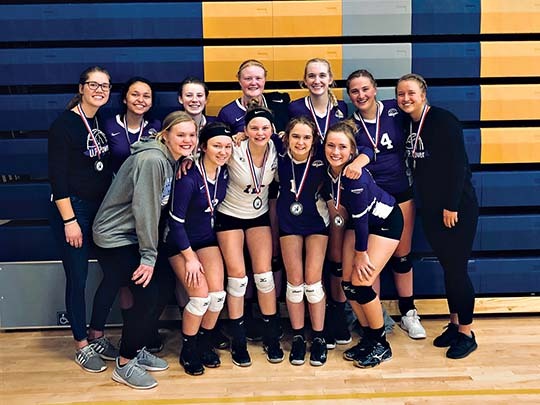 “Chassell’s press is relentless,” Baraga head coach Daryl Putala said. “That’s where we got in trouble. Baraga junior Colton Lindemann led the Vikings with 15 points. Chassell now turns its attention to a LL-H team that it split with during the regular season. 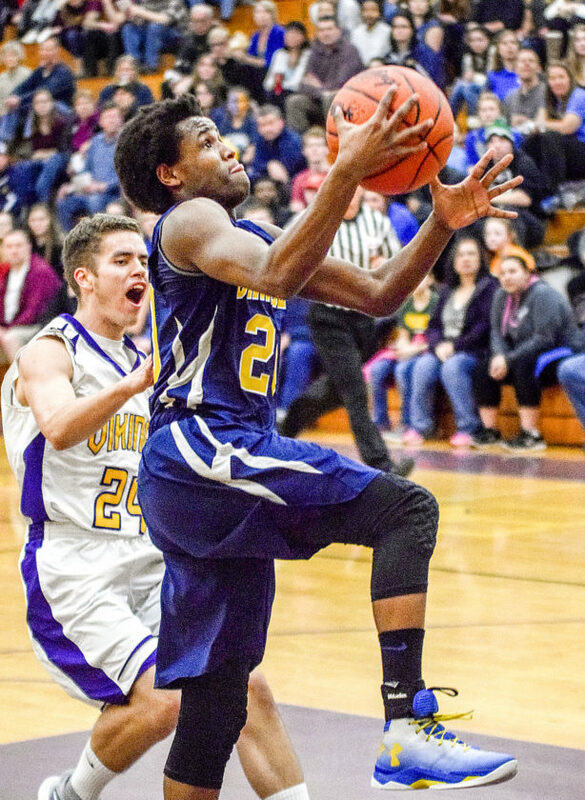 LL-H won the first meeting, 63-59, on Jan. 9 before Chassell exacted revenge and was a 62-53 victor in the season finale on Feb. 28. With both teams looking to pressure full court and play an uptempo style, Wednesday could potentially be a hectic affair — and that’s just fine with Sleeman. “I feel like we have the bodies, speed and athleticism to play in that kind of game,” Sleeman said. “If it gets into that, I think that would favor us. Chassell was 34 of 72 (47 percent) Monday, while Baraga finished 15 of 56 (27 percent) from the field. Chassell — Rautiola 21, Hokenson 2, Gockenbach 14, Tervo 6, Barnes 12, Peitila 4, Kytta 4, Holmes 6, Kinnunen 7. F: 15; Fouled out: None; Free throws: 4-4; 3-point field goals: Rautiola 3, Kinnunen. Baraga — Whitaker 4, Lindemann 15, Putala 5, Ripley 4, Francois 7, Gunnar Lindemann 5, Sackett 3. F: 7; Fouled out: None; Free throws: 9-19; 3-point field goals: Francois 2, Colton Lindemann, Sackett.